The biggest challenge Citrix admins face every day is ensuring a great end-user experience. When users complain, admins are forced to react—meaning they need to find the problem and fix it. 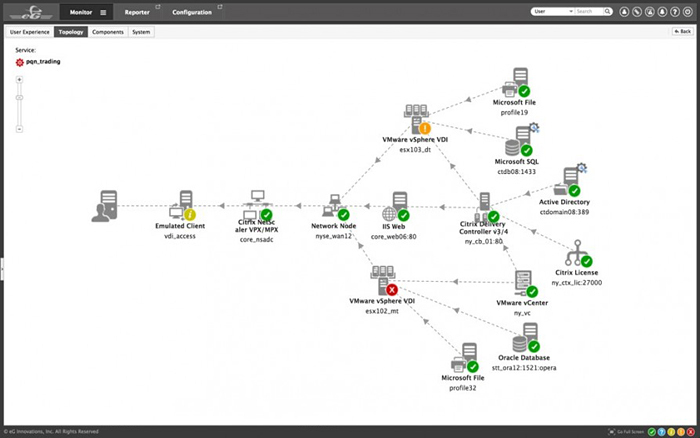 But in the face of increasingly complex, virtualized service-delivery infrastructures, the historically ad hoc process required to simply identify the real cause of a slowdown — inside or outside of Citrix — eG Innovations is one of the most solid infrastructure monitoring tools to manage a modern Citrix infrastructure. 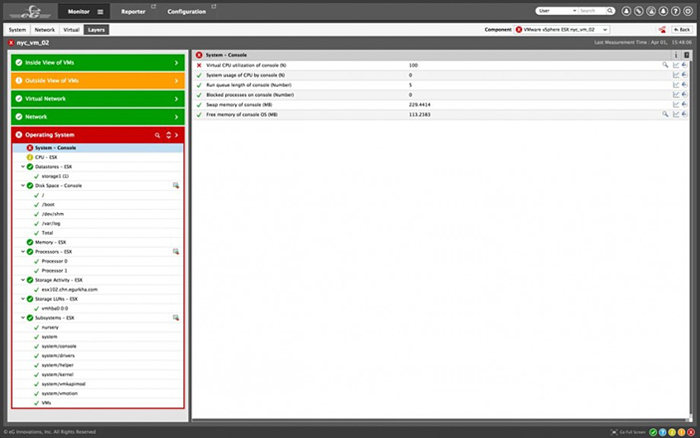 eG Enterprise’s breakthrough correlative-intelligence technology automates the identification of performance issues, instantly indicating where urgent problems originate and exactly what tiers and processes are being affected, anywhere in your infrastructure from hardware all the way down to the user’s running application or desktop. REACH. Breadth of coverage: From a single pane of glass, administrators can monitor, diagnose and report on every layer and every tier of their Citrix infrastructure – hypervisors, storage, applications, networks, etc. DEPTH. At the same time, eG Enterprise embeds domain expertise providing an unparalleled depth of visibility. 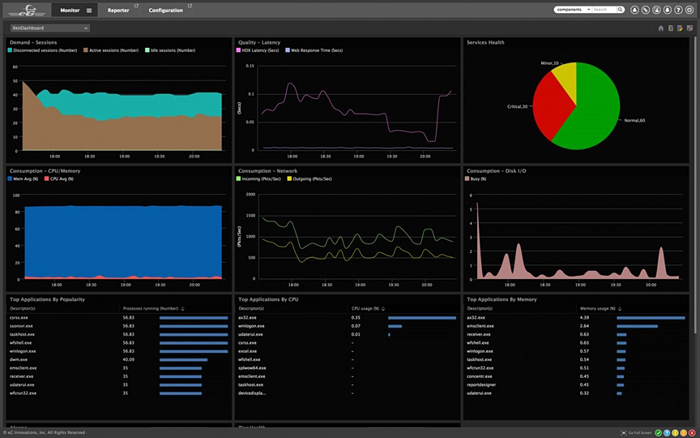 Almost all Citrix key performance indicators – session disconnects, logon times including breakdowns, application launch times, screen refresh times, bandwidth usage, printing issues, GPU usage, browser URLs accessed in a session, profile loading and unloading, etc. are all monitored, helping administrators pinpoint where problems lie. SPEED. eG Enterprise embeds the industry’s only virtualization-aware auto-correlation technology. Considering inter-application, application to VM, and VM to virtual host dependencies, eG Enterprise auto-correlates performance and pinpoints where the root-cause of a problem lies: Is it Citrix or not, and if not, where is it? Auto-baselining technology ensures that administrators do not have to spend days configuring the monitoring. Citrix Ready Verified eG Innovations CLM Blueprint to eG Enterprise to be deployed into any 7.x Citrix environment with a single click, offering the fastest and simplest way to begin diagnosing user-impacting performance issues anywhere across your physical and virtual infrastructure. Figure 4: The eG Innovations Blueprint. Search the catalogue for “eG Innovations” to get started. Figure 5: Deployment Example – Here a Domain controller is being deployed in AWS along with the eG agent installation. After the domain controller is created and configured the eG agent will be automatically downloaded and installed. 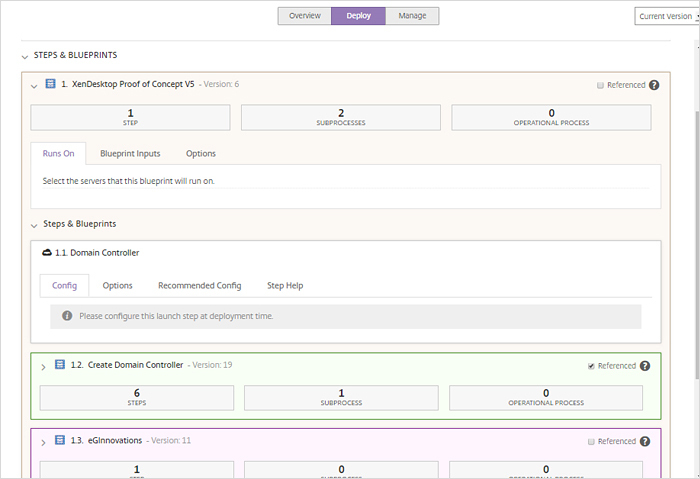 Figure 6: eG Enterprise deployment complete. 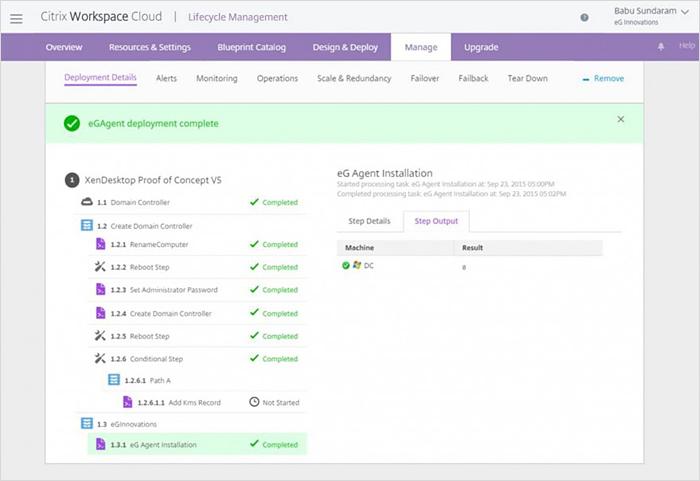 Overall, eG Innovations Blueprint for Citrix CLM enables the instant deployment of the eG Enterprise unified monitoring solution for your Citrix virtual infrastructure. With a single click, the Blueprint installs the eG Universal Monitor, which provides performance visibility across every layer and every tier of your infrastructure (network, storage, virtualization, desktops, and applications) without need for any local provisioning. To know more about the Citrix Ready verified EG Enterprise Blueprint Click here. To start your free, fully functional eG Enterprise 15-day trial, simply log into the Citrix WorkSpace Cloud, search for “eG Innovations” and click on the panel. For more information about eG Enterprise visit the eG Innovations website.